HotSpring has gained a major marketing boost for its hot tub retailers by achieving a ‘hat-trick’ of Consumers Digest Best Buy Awards for the Aria and a brace of WhatSpa? Best Buy Awards for the innovative Envoy NXT. For the third time in a row, the Highlife collection Aria, coming in at 220 x 220 x 91cm from Watkins Manufacturing, has been named a Best Buy by Consumers Digest magazine, which called it ‘an exceptional value in today’s highly competitive marketplace’. 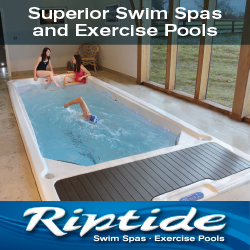 The ratings magazine also stated that: ‘The Aria is a repeat Best Buy selection because the manufacturer made a rock-solid spa even better than it was before’. It also specifically highlighted the quality and positioning of the Aria’s jets. Watkins Manufacturing designed the Aria to provide the appropriate amount of relaxing pressure and massage for different muscle groups. It features the unique and innovative Moto-Massage DX Jet, which delivers two powerful streams of water that sweep up and down the back for a superior hydromassage experience. With ample seating for five adults and a total of 35 jets the Aria achieved its inaugural WhatSpa? Best Buy Award recognition among the £10,000 to £12,499 recipients in the 2011 edition of the consumer magazine, before repeating the feat and gaining a back-to-back accolade in 2012 with a verdict that praised it as being ‘a truly refined and very low maintenance option’. HotSpring European Marketing Manager Tim Vanderbruggen is delighted that the iconic market-leading brand has now maintained its enviable run of eight consecutive Consumers Digest Best Buys, not matched in the industry by any other hot tub manufacturer, after gaining the Best Buy ‘triple’ for the Aria. “HotSpring is the only hot tub brand that has been recognised by the ratings magazine all eight times the category has been reviewed,” reported Tim. Consumers Digest also recognised the HotSpring brand for industry-leading innovations, including the new touchscreen wireless control panel available on top of the line models. The magazine said the control panel is: ‘as easy to navigate as a touch screen on a smartphone or tablet’ and is ‘just as responsive when it is wet…as it is when it is dry’. HotSpring has also been celebrating achieving its second successive WhatSpa? Best Buy Award for the cutting-edge Highlife Envoy NXT, pictured, in the £12,000 Plus price category. Proclaimed as being ‘the future of spa design’, the manufacturer’s five-seater Envoy NXT, coming in at 236 x 231 x 97cm, has achieved back-to-back recognition in the 2014 and 2015 editions of WhatSpa? for its innovative design thanks to its collaboration with Designworks, which is part of the BMW Group. ‘If you are looking for a top notch spa with the emphasis on sleek aesthetics, comfort and hydrotherapy, the HotSpring Envoy NXT has them all in spades’, states the WhatSpa? Verdict. The brand has also gained a further accolade for its Limelight stable with a WhatSpa? Best Buy Award for the best-selling six-seater Flair, incorporating a lounger seat, in the £8,000 to £11,999 price bracket. Last year the Limelight model’s counterpart the four-seater Bolt gained the WhatSpa? accolade in the lower £6,000 to £7,999 price section of the magazine, ahead of HotSpring’s blistering sales performances in the UK culminating in record-breaking results at the end of 2014. This time round the sales success of the Flair, coming in at 213 x 213 x 91cm, helped it to eclipse its Limelight stablemates and gain the WhatSpa? Best Buy Verdict praise for its flowing ergonomics, along with its lighting features. “The Limelight Flair really comes into its own after dark with an amazing array of subtle lighting – a true show-stopper,” states the WhatSpa? 2015 Verdict. The HotSpring brand has also been awarded an additional new WhatSpa? 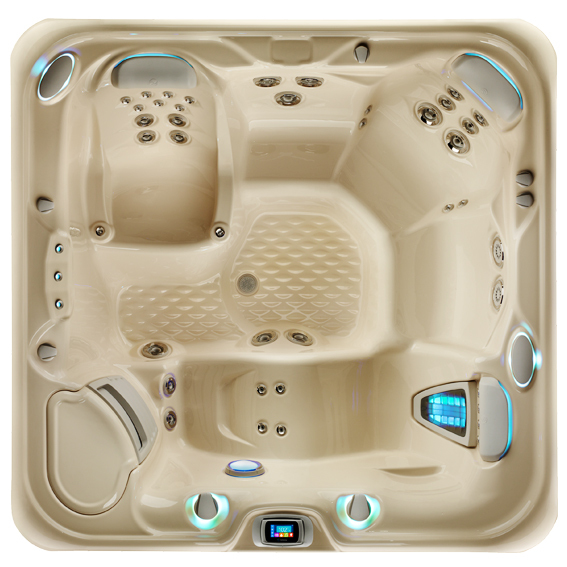 Best Buy accolade in the £6,000 to £7,999 price category for the six-seater Relay, which also incorporates a lounge seat and is another best-selling model from the Hot Spot Spas Collection. In the WhatSpa? Verdict the Relay, coming in at 213 x 213 x 91cm, was praised for its overall package potential for consumers and its spacious footwell and shell design. ‘The Relay’s shell design is simply stunning; with a curvilinear flowing shell design not seen from any other manufacturer’, reveals the WhatSpa? Verdict; ‘The massage experience is as good as the looks making for a great overall package’.